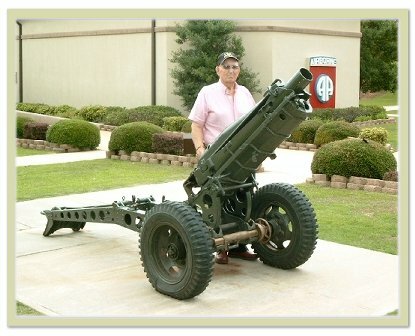 The website is also dedicated to all the heroes of the 463rd Parachute Field Artillery Battalion. Their Memory shall live forever. If you were a member of the Battalion, or, if you are related to a member, then please contact us ! You can do that with the feedback form (at left), an entry in the guestbook, or by mail in the Miscellaneous topic here beneath. I started to build this site to educate our youth and also others (including myself!) and to honor and thank the men who liberated our European countries in WW2. We can best honor them by teaching our children that living in freedom did not come automatically, but was restored by the efforts and sacrifices of hundreds of thousands of patriots and soldiers during World War II. Expressions of gratitude are never-ending and heartfelt. In 2005 the site remained Bill's homepage, only we extended it to be also the Official Home for all 463 PFA veterans and their families. This in accordance with Bill himself and other veterans of the 463rd Parachute Field Artillery. The building of the website has never stopped, it is still 'quietly' under construction. Write a message in the guestbook please ! Use our Feedback Form... ! The contents of all material available on this Internet site are copyrighted unless otherwise indicated. 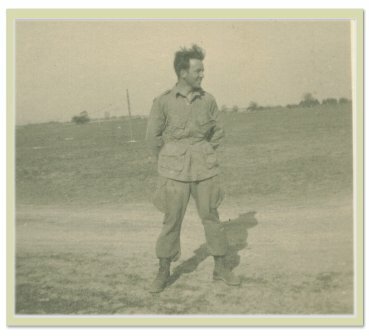 All rights are reserved, and content may not be reproduced, downloaded, disseminated, published, or transferred in any form or by any means, except with the prior written permission of the webmaster, a veteran or family member of the WW2 463rd Parachute Field Artillery. Copyright infringement is a violation of federal law subject to criminal and civil penalties. * sufficient contact information so that we may contact you including a valid email address. * identify in sufficient detail the copyrighted work claimed to have been infringed. I would also like to address a special THANK YOU, to Tess Stinson, Kathy (Gallipau) Trefz, Ken Hesler and all who I might have forgotten for all kinds of help they are giving me on this subject ! Of course also a very special THANK YOU to Bill Tingen himself, and the members of the 463rd PFA, to do me the honor allowing me to build their homepage.